The opening weekend of the summer movie season started off with a bang, and week two hopes to be even stronger. First, before we take a look ahead, let’s take a look back to last year, and the second week of the summer. Iron Man had a powerful opening in its first weekend, but in its second weekend, it would have to face off against another hopeful summer blockbuster – Speed Racer. Well, all the hype around Speed Racer was just hype, and it didn’t deliver the goods. In my opinion, it was the biggest big-budget disappointment of 2008. So will history repeat itself? I doubt it. Star Trek opens this weekend, and I’m predicting it to have an even bigger weekend than X-Men Origins: Wolverine. It looks like J.J. Abrams and crew have got this one right. Let’s start with the things I like about this film, without having seen it yet. First, a brand new cast. Second, strong marketing campaign [which to be fair, not many other Star Trek films have had]. Third, it appeals to non Star Trek fans. That is my biggest problem with this franchise; it did nothing to appeal to outsiders. Good franchises are able to draw in new viewers, but Star Trek was way past its prime when the last film came out and the TV show Enterprise wrapped up. Bad memories have been replaced by nostalgia about how good the series once was, so now is the perfect time to re-kindle the magic. 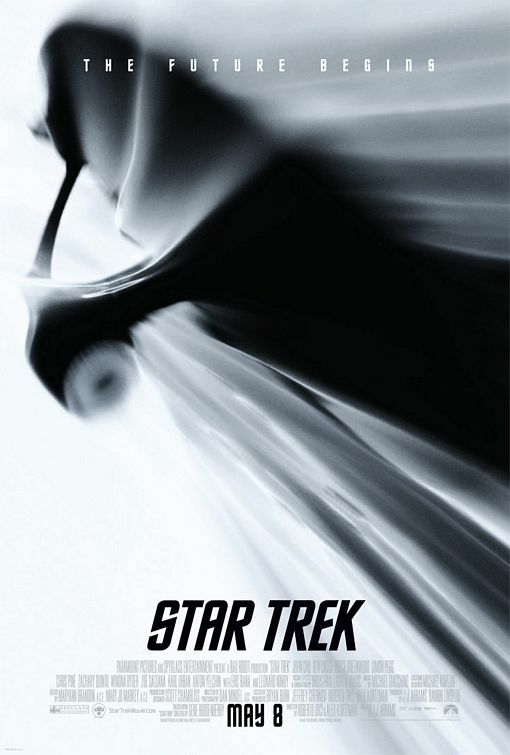 Moved from a Christmas ’08 opening, Star Trek gets ready to launch in theatres [3,849 to be exact], and become a blockbuster, which I could never really say any of the other films in the franchise were. The highest grossing film in franchise history was Star Trek IV: The Voyage Home, grossing $109.7 in 1986. I can firmly say that this Star Trek will defeat that record [not counting for inflation of course]. Reviews have been glowing, and internet buzz has been solid, so I’m expecting Star Trek to gross $95 million this weekend. The only other major release this weekend is Next Day Air. It’s bowing in around 1,000 theatres, so do not look for this film to break the Top 5. X-Men Origins: Wolverine will drop to #2 this weekend, but the question is, how much will it fall. Reviews have not been kind, and the fan base has already turned out, so I’m going to say the film falls 68% from its $85 million dollar opening to gross $27.2 million. Ghosts of Girlfriends Past will try to maintain a strong hold in its second week. I think it will have a decent hold, as there is not much in the way of competition for it, so I’m predicting a 35% fall for a gross of $10 million. Check back on Sunday to see how I do!